Alison Greenspan (C'94, Bloomers) is about to work with Hilary Swank on an upcoming film that will sure to tug at your heart. 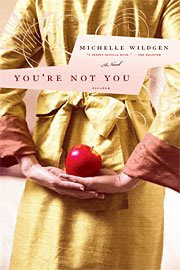 Alison will be producing the film You're Not You based on the novel by Michelle Wildgen about "a woman dying from Lou Gehrig's disease and a younger woman who takes care of her." "the initial push to adapt Wildgen's book came from Greenspan. Her sister recommended the novel, noting that a key character -- like their dad -- had Lou Gehrig's disease. "I thought this could be a special film, because there aren't that many great parts for women, and this story has two," Greenspan said. 'They give each other valuable gifts before one dies and the other is launched into adulthood.' "